Why?One of the most important goals of modern industry is maximising production efficiency while minimising costs. This is particularly true for companies producing or using complex industrial plants. Whenever faults occur in machinery, it is essential to act promptly to ensure minimal downtime and reduce related costs. Some maintenance and corrective procedures are so complicated or site-specific as to commonly require specialist maintenance expertise, and plants located in remote sites can be difficult to service effectively. Can augmented reality be used to empower local workforces and make them so tightly connected with skilled remote engineers as to almost give the feeling that experts are present 24/7 at the local site no matter where it is in the world? 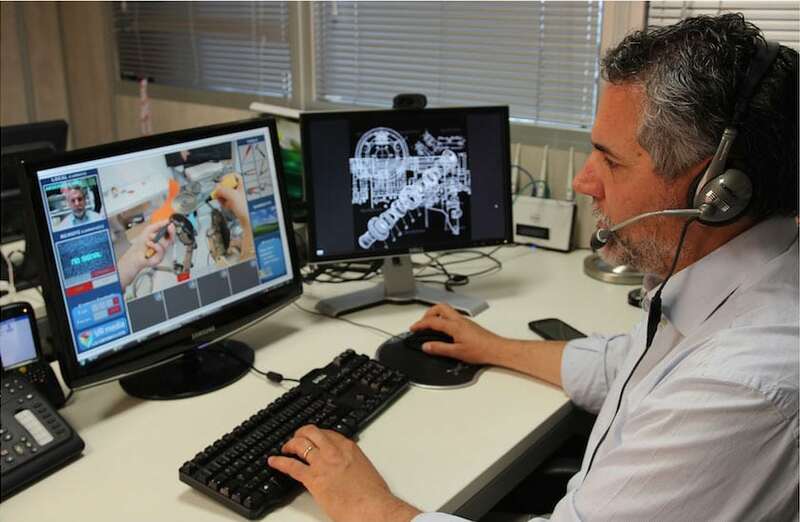 Italian company VRMedia thinks it is and has created a wearable industrial visor using augmented reality that specialises in real-time, remote assistance: the smARt helmet. What? 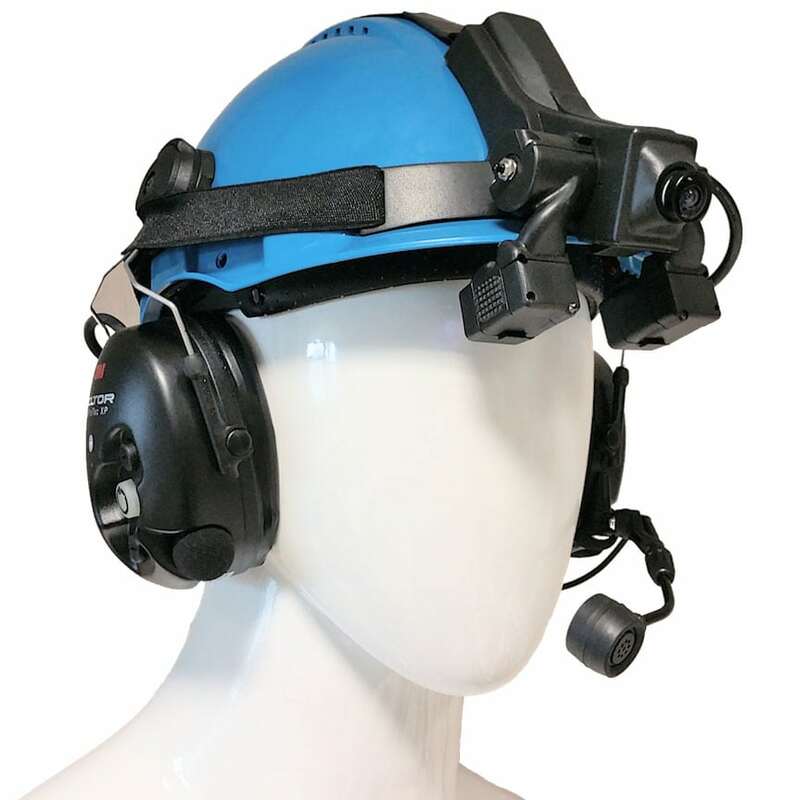 smARt helmet is a wearable augmented reality audio-visual solution connecting a field technician in front of a machine with one or more experts that can be anywhere in the world. The field technician can share what he/she is seeing using a video and voice link, and the expert can provide guidance by superimposing augmented instructions onto the engineer’s field of view. The smARt helmet system is composed of a head-up binocular display mounted on an industrial helmet together with a camera capturing a video stream corresponding to what the technician is seeing. The system is completed by a secondary hand-held video camera to enable the exploration of internal parts or small surface details. The remote expert receives the audio/video streams and sends supporting info to the engineer’s near-eye display and to a tablet (or smartphone), including real-time visual indications, drawings and animations. The expert is therefore able to see exactly what the on-site engineer is seeing and literally “draws” on his/her visual field. This enables powerful and efficient communication, using visual symbols to provide information that would be transmitted with far less efficacy, promptness and precision via a simple phone call. VRMedia smARt helmet has unique characteristics compared to other augmented reality devices. The main one is the application focus: the smARt helmet is NOT a consumer market product but is designed from scratch for the industrial market in order to be compatible with the tight security regulations of harsh working environments. An ATEX version of the helmet is available for safety critical environments such as oil & gas. 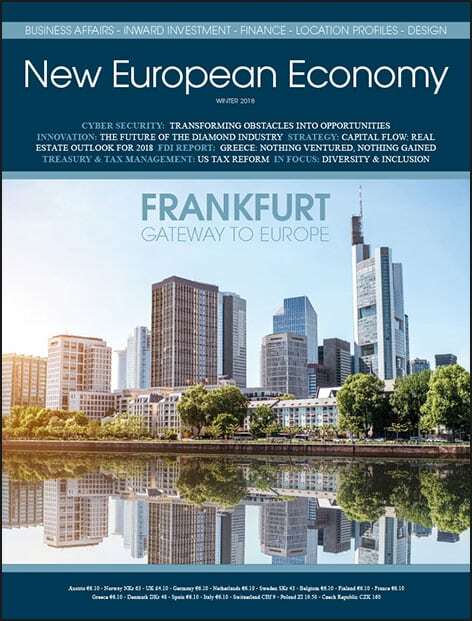 It is organised around the typical and sound concept of remote support in industry, including data encryption, privacy settings, user details management and extra security, as well as having a networking infrastructure compatible with 3G and 4G cellular network or low-bandwidth satellite links. Also, it is a complete turn-key solution including hardware AND software, with no need to develop or customise. Leading industrial players are using this solution today, with smARt helmets scattered all around the globe. Who? VRMedia s.r.l. was founded in 2002 as a spin-off of the Italian university Scuola S.Anna Advanced Study (http://www.santannaschool.eu/). The founders of VRMedia have a track record of more than 30 years of state-of-the-art research in virtual and augmented reality. The company’s mission is to develop innovative virtual and augmented reality technologies in areas such as industrial maintenance and training, implementing systems that can increase the competitiveness of modern businesses. For more information: VRMedia s.r.l.